Nata y Limón – This is K-Tiv. 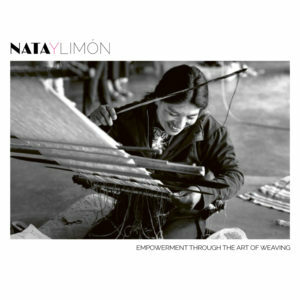 NATA Y LIMÓN is a social design label that creates artisan interior fabrics by partnering with indigenous weaving cooperatives in the highlands of Guatemala, this empowering women weavers through fair job opportunities. K-Tiv has been involved with NATA Y LIMÓN since their early days as a social start-up based in Impact Hub Berlin, providing services ranging from the complete graphic and content overhaul of their website, product photography, the design and production of flyers, and German-English translation and editing services.